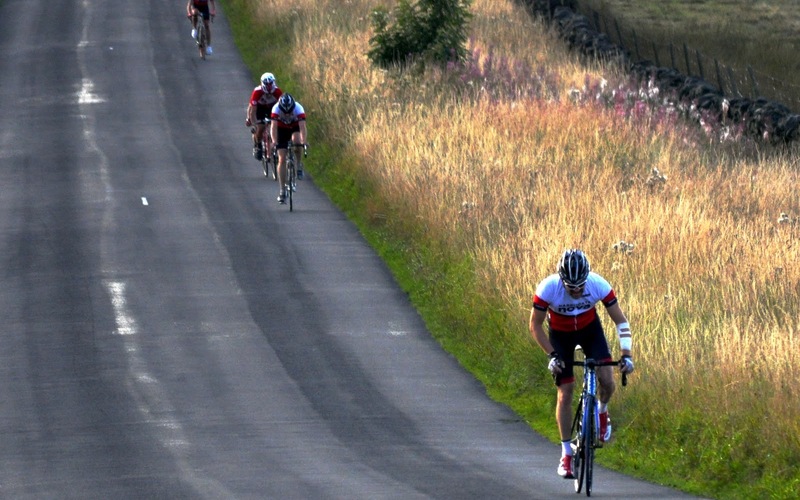 The penultimate event of the Beech House Dental Practice Evening TT League took place last week with riders taking on the Darley Head Hill Climb on Wednesday night. 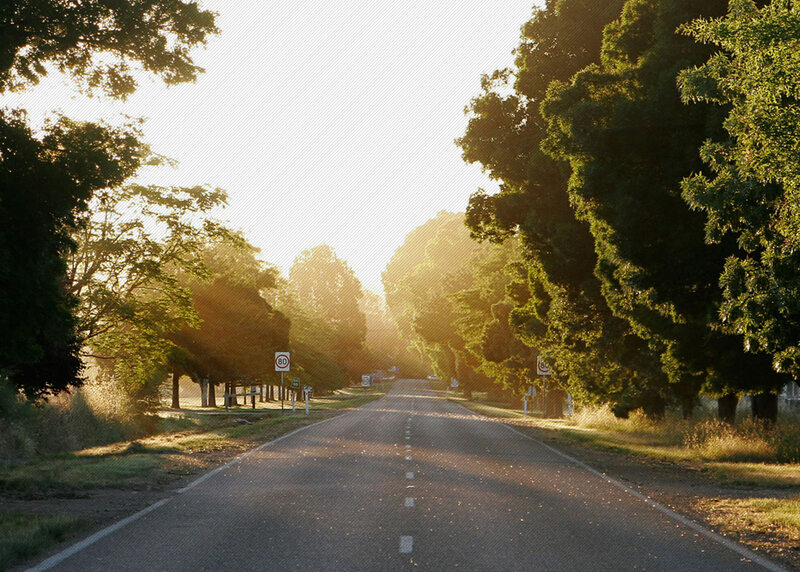 Event 17 is the shortest in the TT League calendar at just one mile in length. 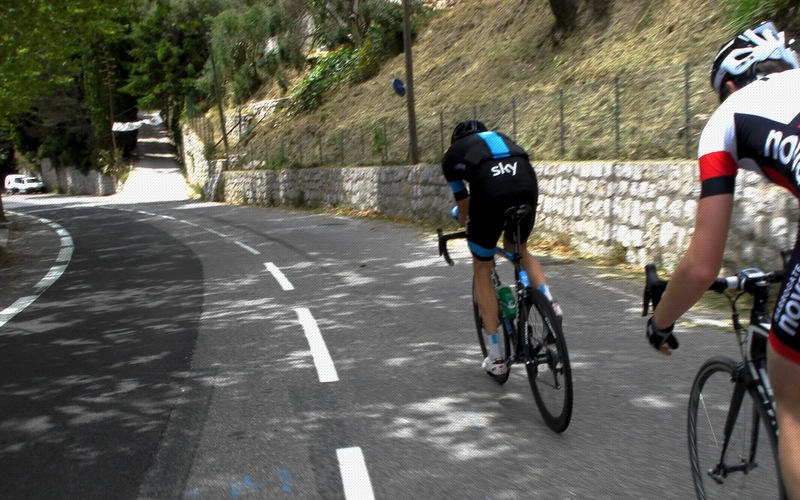 However, Darley Head presents a challenge for all who tackle it: beginning outside of Darley Mill Centre the climb starts off gently before kicking up to a steep 20 per cent just before the finish. Dylan Flesher, Prologue Racing Team, again showed his prowess for climbing, taking the win with a time of 4:46. Jonathan Webber took an excellent second place with 4:49, with Matt Dalby in third with 5:11. Huw Spacey (5:14) and Craig Jarrett (5:18) rounded out the top five. 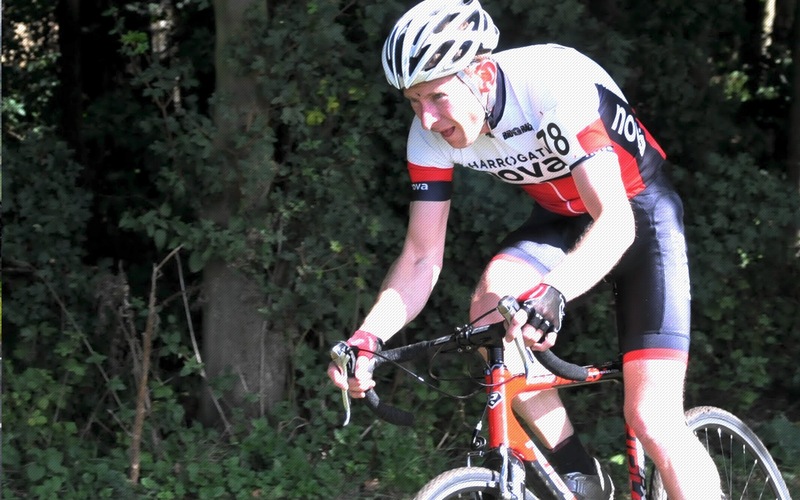 With Simon Cave electing not to take part in the first two hill climb events, Dylan’s win was enough to secure him League runner-up position behind Champion Duncan Mullier. 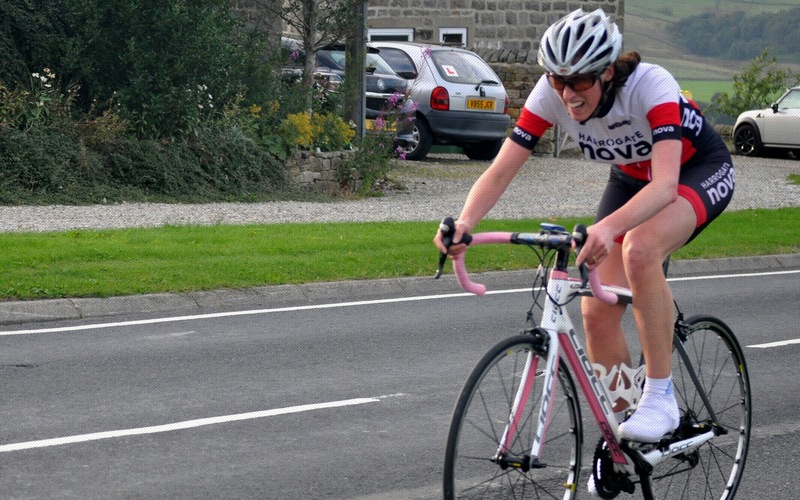 In the ladies event, Ele Haresign raced to another win, just dipping under six minutes with a time of 5:59. Julie Patmore took second place with 6:52, ahead of Fran Varley in third. Julie’s second place gives her enough points to edge into third position in the league ahead of Alison Sarmiento with just one race to go. Mike Hudson got the better of Walter Busuttil by just two seconds to finish best placed Vet-50 with 5:36. 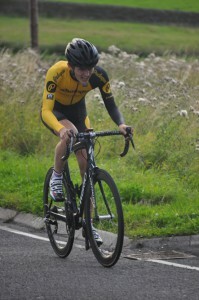 Richard Bellerby took top Vet-60 honours with a time of 6:46. 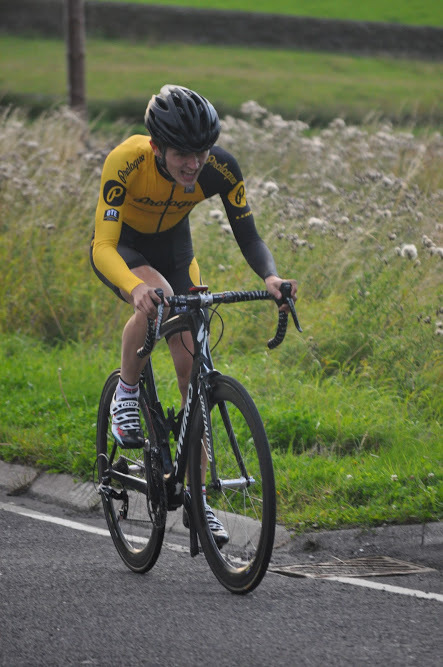 With only three riders riding faster than their previous personal best times for the course, Richard Sladen took top honours as the most improved rider on the night. 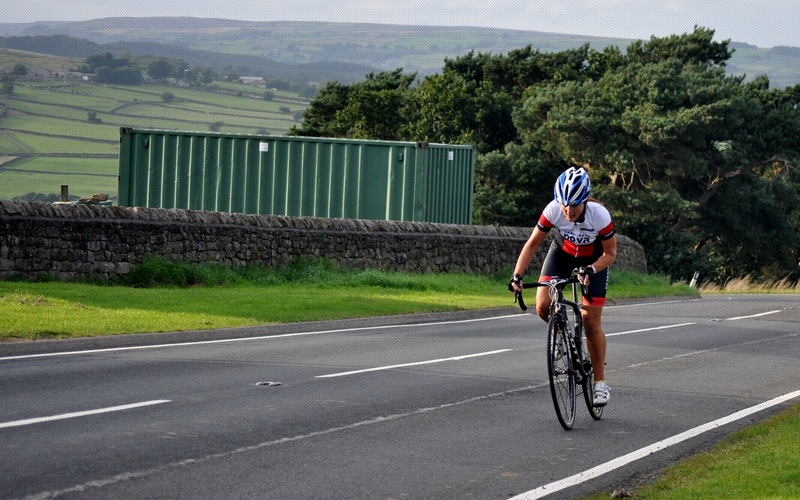 Event 18 brings the series to a close with the four mile Scar House Reservoir Hill Climb – full report next week. 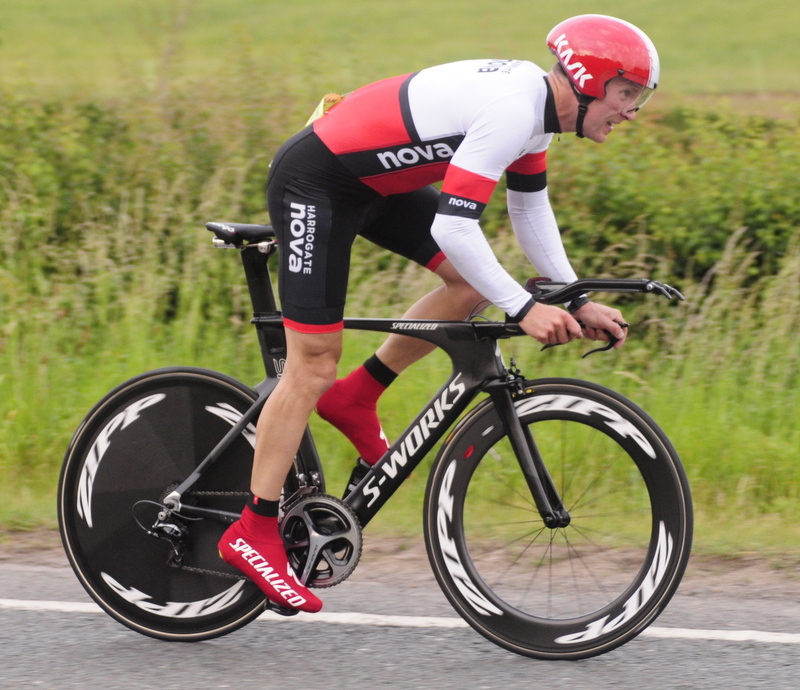 In Open Time Trials, Nova’s Ele Haresign and Mike Hutchings took part in the VTTA (North) 50-mile TT on Saturday afternoon. 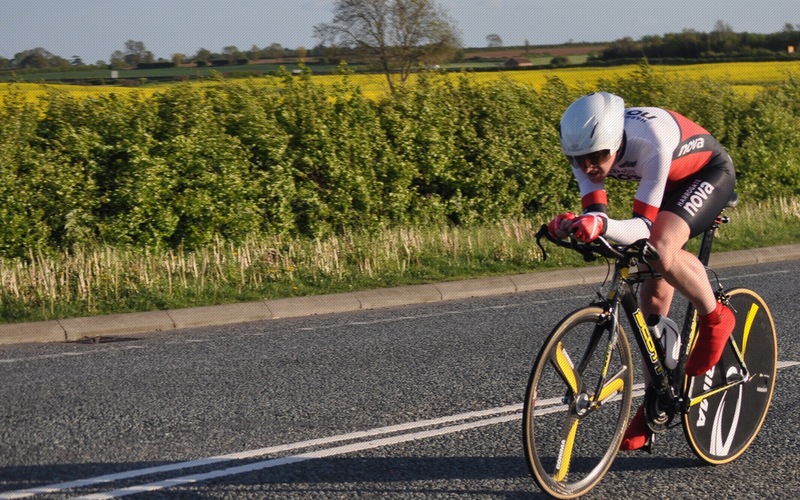 Wet and windy conditions put paid to super fast times on the Kirklevington-Dishforth-Kirklevington (T502) course with Ele recording 2:00:05 to finish as fourth lady and Mike stopping the clock at 2:12:54. 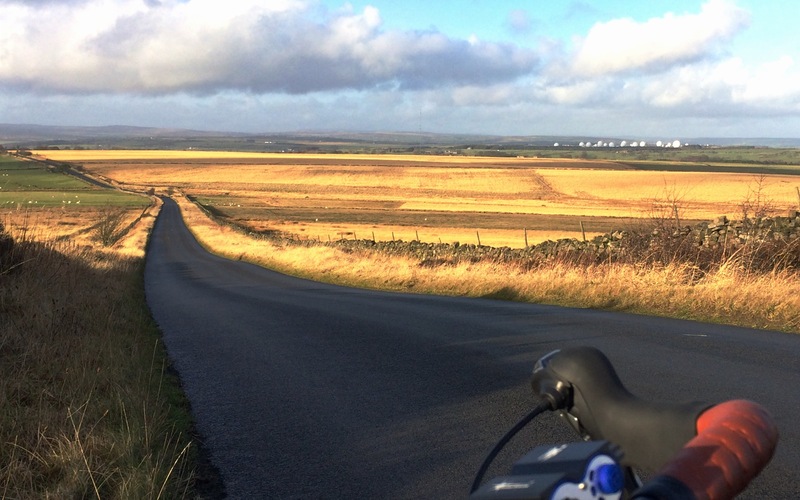 Mike Worden and Paul Lehan took on the Hoy 100 Sportive on Sunday morning, taking on some of the toughest hills in the Pennines with 11,000 feet of climbing. 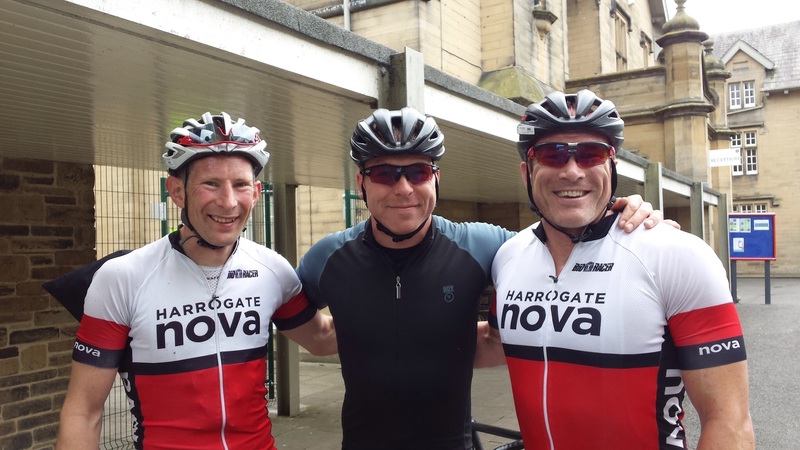 Paul managed to bag the Strava King of the Mountains for the 100-mile event by finishing just one second ahead of Mike in 6 hours and 3 seconds. The Nova duo even caught Sir Chris on the run into home, and pedalled the last ten miles with the great man himself. Nova members Al and Corrine Mitchell took part in the Rubicon Middle Distance (Half Ironman)Triathlon on Sunday morning as two-thirds of a relay team. Al took on the bike leg, completing the 56.25 miles in a time of 2:09:46, with Corrine bringing the team home on the run leg, completing the 13.1 mile half marathon in 1:36.31. Congratulations – great effort all round.